?It is included a water bowl wihich is not leak. 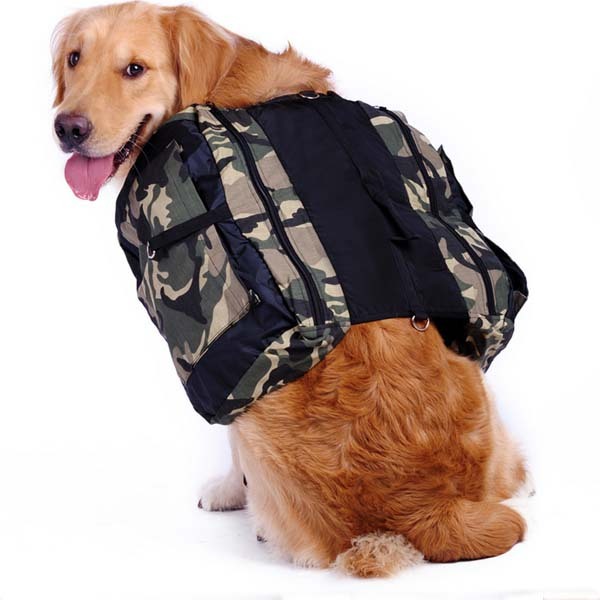 ?The bag add a soft mat in some part to protect dog's fur. ?The bag can be put on the dog's back, also can be carried by people. ?It is made of oxford cloth, waterproof, ultravioletproof, light and breathable. ?The bag is a multi-fuction bag, water, food, toys and so on can be put in the bag. ?With a adjust buckle design, You can install or uninstall the bag easy and quickly. If you need help, please click PET SIZING GUIDE .